Walsh, Daniella. 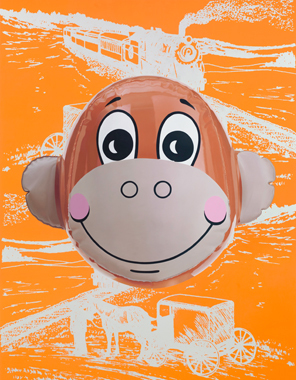 "Jeff Koons: On Track." Art and Living Summer 2007, pp. 43, 46, illustrated in color (in progress). Lazzaroni, Laura. "Jeff Koons." L'Umomo Vogue May/June 2007, p. 217, illustrated in color (in progress, partial). "Jeff Koons als Modemacher - Koons & McCartney." Monopol Magazin June/July 2006, p. 81 (detail, with the artist).